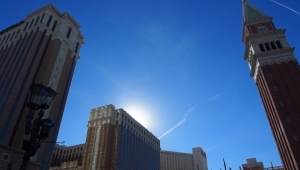 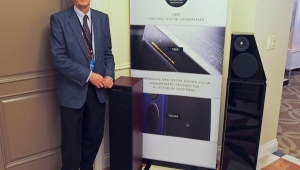 Gideon Schwartz of AudioArts NYC assembled an extremely fast system that delivered maximum color without any of the harsh, irritating edge that I encountered on many systems, both tube and solid-state, at CES. 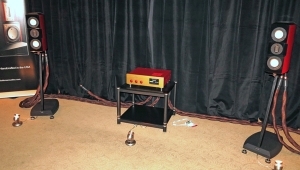 On Salvatore Accardo's well-worn Diabolicus in Musica LP of Paganini's solo violin music, as well as on a CD by the Musicians of the Nile, I was deeply impressed by the upward extension of the tone and the system's willingness to bathe music with the light it deserves. 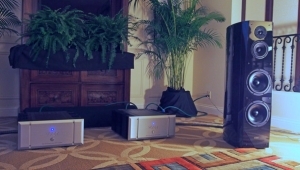 If the system wanted for the last iota of bass impact and clear delineation of low-lying lines, it nonetheless handled bass with a finesse that few hotel room set-ups offered, especially in the case of large loudspeakers sandwiched into small spaces. 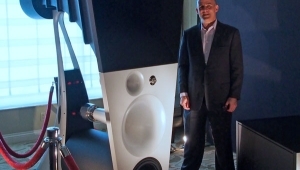 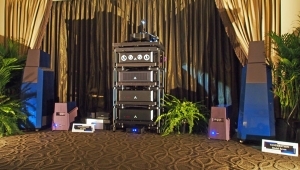 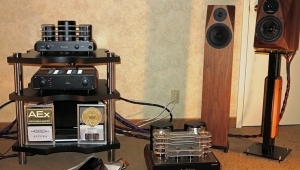 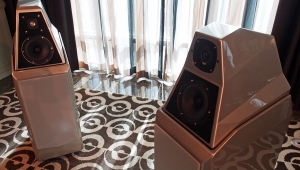 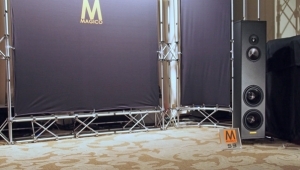 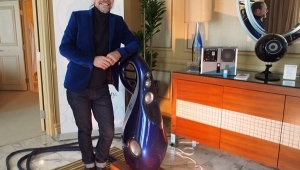 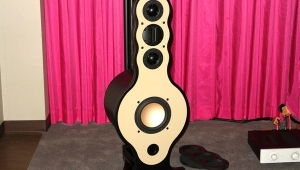 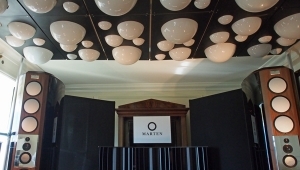 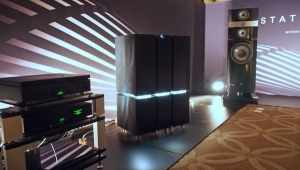 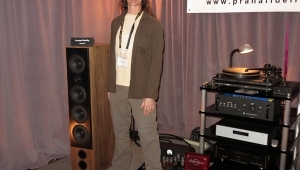 John Atkinson has already covered the new Zellaton Reference loudspeakers ($97,750). 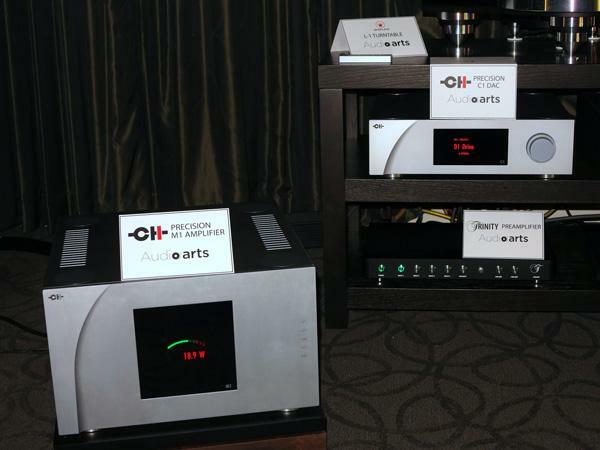 As my beat was new amps and preamps, I draw your attention first to the CH Precision M1 monoblock amplifiers ($TBD), which are due out in February. 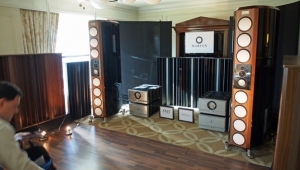 Outputting 400Wpc into 8 ohms, they are made in Switzerland and engineered by some of Goldmund's former lead engineers. 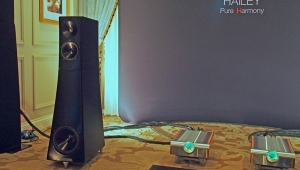 Also new were the Trinity preamplifier ($34,750), a fully balanced design from Germany's Dietmar Breuer, who is also responsible for hand wiring and assembly; Trinity's fully balanced phono stage ($34,750), which Michael Fremer recently wrote about for Stereophilenote that the Jan Allaerts MC2 Boron Mk.2 phono cartridge ($TBD) ran fully balanced into the phono preamp for greater dynamics and lower noise floor; and the Tellurium Q Black Diamond cables ($TBD).